Preschooler bowls during heart healthy play. In conjunction with learning about healthy hearts, CAS Preschool offered a day of outdoor activities and fun to cement healthy heart objectives. Students and staff participated in many activities that elevate the heart rate including bowling, running games like tag and even unstructured play on the jungle gyms. Free play gets heart rates up also! Teachers explained how important 30 minutes or more of physical activity daily was important for health and happiness and students brainstormed activities they enjoyed that elevated the heart rate. Additionally, students were taught how to feel for their pulse and measure their heart rates as a focus on wellness and learning about the cardiovascular system. Preschooler smiles wide as his teeth are checked. This fall, CAS Preschool and its students participated in the healthy lifestyles dental event entitled “First Smiles” during which trained dentists and hygienists visited the school, discussed healthy brushing habits, and performed oral exams. Students learned the benefits of keeping teeth clean and fun ways to do it such as setting a song to play while brushing. First Smiles also distributes parent literature on oral hygiene including tips to cut sugar intake and increase consumption of greens, water, and calcium-rich foods all of which build strong, healthy teeth. Thank you to the Healthy Smiles program for partnering with CAS Preschool and its mission to bring wellness and education to Sierra Vista students! Students collect treats during the annual Halloween Parade. CAS Preschool enjoyed fun and team-building the week of Halloween as students participated in spirit week and Halloween costumes culminating in the annual CAS Halloween costume parade on Friday, October 31st. Students enjoyed theme days such as pajama day (see picture below) and crazy hair day which gave students a natural talking-point for circle share time. Preschool staff and student pose for a photo in their Halloween costumes. Class poses for a photo of pajama day. Students also practiced their oral presentations during show and tell sessions daily during which they shared important family traditions relating to the day’s theme. On Friday, students lined up and participated in the annual costume parade with CAS elementary school. Students paraded around the campus showing off costumes and collecting small treats. Best costume awards of activity books and bags were awarded for most creative costumes. Five year old class of CAS’s Preschool eagerly demonstrated their singing, counting, and Spanish language skills for family and friends at the annual CAS Preschool promotion ceremony on May 22nd. Themed, “A Night at the Oscars,” the evening featured Preschool Director Brad Dale in a tuxedo as students dressed in their best performed songs and charmed the audience with what they had learned that year at preschool. Demonstrated learning included: bilingual songs, counting forwards and backwards, and fine motor skills with song hand motions. The evening culminated with students receiving certificates of completion and mini “Oscar” awards in front of a red curtain backdrop. Afterward, families and students enjoyed cookies and punch as they celebrated their child’s achievements in being promoted to Kindergarten. Hands-on learning is vital to the growth of little minds, and CAS Preschool took advantage of the changing season to provide opportunities for creativity and learning for our students. Preschoolers learned about various spring traditions, especially Easter, and the many ways people celebrate this holiday. Teachers encouraged students to share their special family memories with the class and the activities they had planned for the current year including family visits, Easter egg hunts, and church activities. CAS Easter egg hunt allows students to participate in holiday tradition. The learning culminated with the annual Easter egg hunt held on school grounds as a fun way for students to experience Easter and practice sharing and helping others. Spring-themed reading activities included the Zoo Phonics program taught throughout the year as an award winning method to aid with letter sounds and word recognition. The celebration of spring continued with CAS’s Earth Day celebration during which students learned about ecology and sustainability. Discussions included small steps students could take with their families to help the earth like turning off lights in rooms not in use, reusable instead of disposable items, and shopping locally. Teachers hang peanut bird feeders on the fence near the rainwater collection tank. Later, lessons included gardening to attract bees and butterflies to help these pollinators and bird feeders to attract a variety of wildlife to gardens. Students then planted flowers for a Preschool garden and created peanut bird feeders which teachers hung near the CAS school gardens. CAS Preschool is now enrolling for their summer science and sports camp starting July 2nd! To see what CAS Preschool can offer your child, come visit us at the Preschool and Kindergarden round up May 7th from 5:30 – 7:30. See details below. Preschool Students at CAS get a chance to test-out a vintage streetcar. As part of its “Chasing the Sun” Tour, the Horseless Carriage Club of America brought several unique heritage vehicles to the Center for Academic Success on February 14th, 2014. Students PreK-12th grade had opportunities to view the beautiful machines up close, ask their owners questions, and even sit inside the gleaming streetcars. CAS Students clearly enjoy the awesome ride! The club offered a show-stopping presentation with authentic automobiles which are painstakingly detailed. Seats in many were still covered with 100 year old leather over 100 year old horse hair. Owners provided a demonstration of how the cars were lovingly restored over many years and still maintain the integrity of the original vehicles. Owner Alan Travis even explained how he restored a car after it was damaged in a flood — 107 years ago! There was even a Model T present; the streetcar now synonymous with systematic production and standardization. Education extended to how the streetcar impacted US city density, Economics, and even social norms as they became popular. Students also learned about the inter-workings of the streetcar itself including body style, hand-painted exteriors, fuel and engine types, and headlamps which were originally gas lamps lit with a match. Celebrating the season and joy of the holidays, the Center for Academic Success’ Preschool Program hosted a Christmas Program December 20th to showcase how much the students have learned and grown during the semester. After the show, students (and parents!) enjoyed cookies and hot cocoa. Students sang classic Christmas songs including Frosty the Snowman, Rudolf the Red nosed Reindeer, and We Wish You a Merry Christmas and demonstrated their poise and grace (not to mention cute smiles) during the show. Additionally, teachers and Program Director, Brad Dale, were on-hand to explain how far the students have come during the semester emphasizing CAS’s focus on quality learning while in Preschool. Afterward, parents, friends, teachers, and students all enjoyed a Christmas snack of cookies and hot cocoa. Many thanks to all of our parents who came out to support their talented kids. CAS is proud to partner with our great families as we watch the students learn and grow. Merry Christmas and Happy New Year to all of our families; we can’t wait to see the great things 2014 will bring for you and yours. 11/20/13 — U.S. Border Patrol Agents visited the Center for Academic Success’ Preschool and Elementary students to educate students about the vital role they play in our community. Agents brought several tools of the trade — including detection devices, ATV’s and horses — to demonstrate different ways they patrol and protect our border. In addition, students were able to participate in a live demonstration and took turns on real Border Patrol vehicles. Agents also answered student questions about the border and what it takes to become a border patrol agent. Perhaps the biggest hit of the day were two equine “agents” named “Bullets” and “Nibbles” who also visited demonstrating how service animals help our agents in a variety of ways (see photo, top). CAS is thankful to be living in a community full of honorable men and women who serve their country in a variety of ways. Thanks to the border patrol for demonstrating their skills to our curious kids. As an ongoing “thank you” to all who serve, CAS Preschool offers a 10% discount to both military and border patrol families. Please call the Preschool at 520-439-3526 for more information and to schedule a visit. Student exits “smokehouse” after demonstrating fire-safe techniques. In addition to traditional curriculum topics like counting, letters, and colors, students at CAS Preschool learn hands-on skills that help them become proud, safe citizens. In October, CAS partnered with the Sierra Vista Fire Department for a focus on fire prevention and fire safety. how to stop, drop and roll, and use 911 as an emergency number. After the practice and instruction, students took turns in the “smokehouse” (see photo, left) with a trained adult using the aforementioned techniques to simulate reaching safety if a fire emergency ever happened in their home. At the close of the day, Firefighters reiterated that every household should have a escape plan in case of emergencies and encouraged students and participating parents to talk with their family members about what they learned in fire safety school. Many thanks to our brave firefighters who put their lives on the line for their community and took the time to teach our students how to be fire safe. Preschoolers participate in the Halloween parade in costumes. A young “Dorothy” leads the way. In keeping with the spirit and tradition of Halloween, CAS elementary and middle school students celebrated Halloween by wearing costumes to school and participating in this year’s annual costume parade. The event fosters a sense of community within the school with students, staff, and teachers dressing for the occasion. Students show off their costumes as they march and collect small amounts of candy. Students also learned and reviewed safety tips to practice this evening such as staying in groups, visiting houses of family friends, and wearing reflective clothing. Elementary students also practiced their manners with a review saying “Thank You,” taking only one piece of candy from a bowl, and allowing younger kids to go first while they waited. Because CAS has a small, self-contained campus, older students are able to mix with younger students in supervised activities such as the Halloween Parade, giving them a chance to demonstrate the social skills they are learning in class. Teachers, Parents, and Staff all participate with children as they march in the parade and celebrate the fun holiday. Even younger siblings are welcome at the event. (Pictured left, a tiny “Spider man” enjoys the fun at CAS assisted by a parent.) In addition to cheering on the students, teachers are encouraged to participate in the event as well with costumes and many rise to the occasion each year. The Preschool staff is no exception — see photo below for their Halloween outfits! In addition to the Halloween costume parade, Preschool students explored other Halloween traditions such as pumpkin-carving and traditional decorations. Teachers and students practiced their kitchen safety explaining that parents or adults should always hold the knife when carving, and students should use blunt objects for scraping out seeds. After instruction, students had a chance to practice their safety (and fun!) with creating their own jack-o-lanterns which they decorated rather than carved after students scooped out insides. Preschool staff all participate in Halloween spirit too. Miss Sierra Vista poses with Preschool class after presentation. 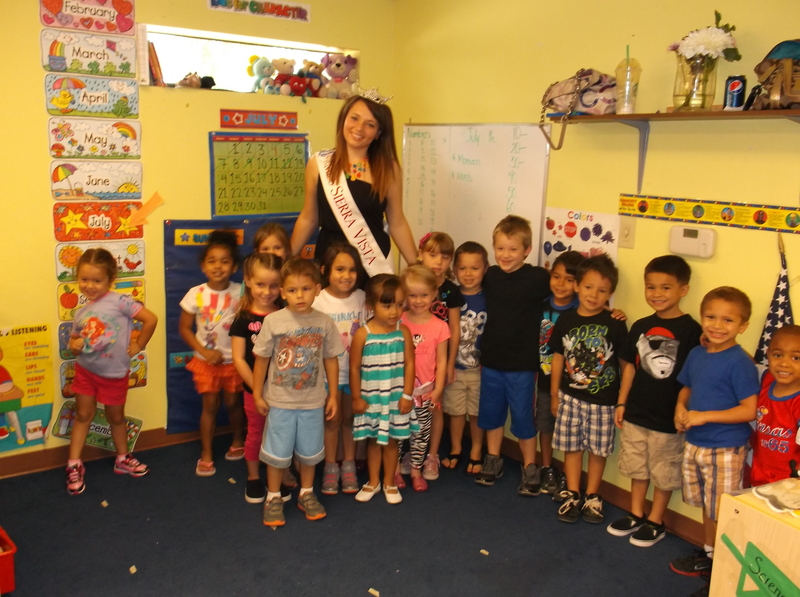 Miss Sierra Vista, Tamara Vukomanovich, spent Wednesday, July 24th at the Center for Academic Success’ Preschool building sharing local citizenship lessons to Preschool students. Vukomanovich explained her experiences of being crowned Miss Sierra Vista and some of her duties that she performed this past year including visiting local businesses, government meetings, and community organizations. Students learned about local elections and the meaning of “representative” while having fun demonstrating their skills in poise important in Miss Sierra Vista competitions. Also, students participated in an arts and crafts project with the class decorating crowns for each child (see picture above and left). On a personal note, Vukomanovich also came to wish a personal friend — a CAS Preschool student — a happy birthday. Thanks to Miss Sierra Vista for joining our staff for a day to bring fun and education to our important young minds. Graduate shakes Preschool Director Brad Dale’s hand before receiving his Oscar. 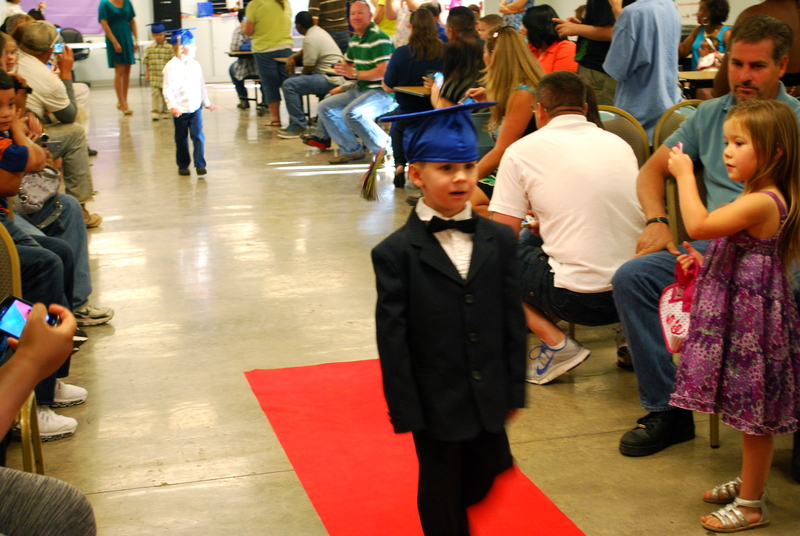 Parents, family, and friends joined our students and staff at the Center for Academic Success’ Preschool as we celebrated their year’s achievements with a commencement ceremony Thursday, May 23rd in the CAS cafeteria. Themed after the Oscars, the celebration featured two student musical numbers, a demonstration of learning, and student award “Oscars” presented by Preschool Director, Brad Dale. During the ceremony, students processed to the front wearing the traditional gap of a graduate (see photo) while parents and friends celebrated this milestone. Students then demonstrated their knowledge by reciting the Pledge of Allegiance from memory, read several short passages aloud, and even performed two dance and musical numbers. 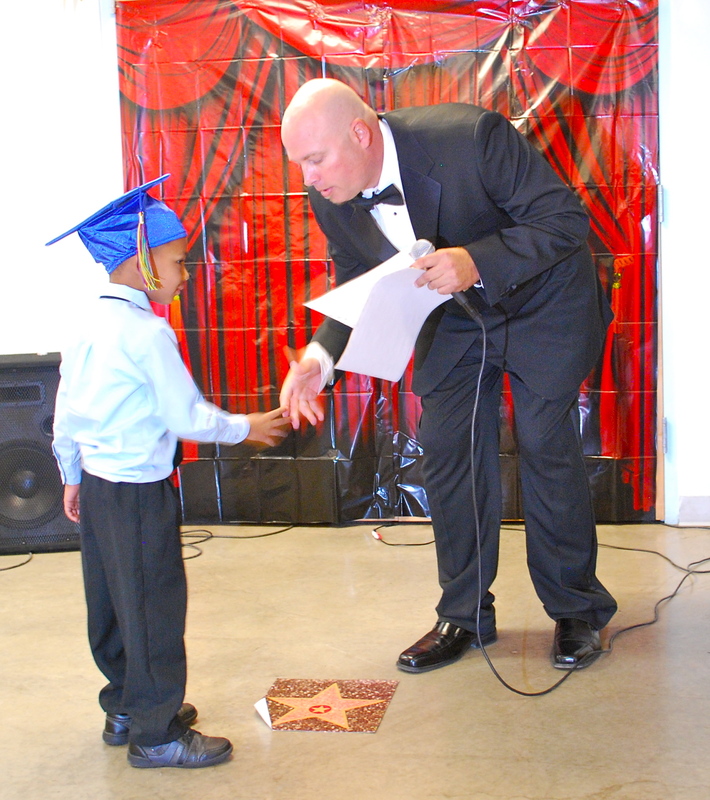 To complete the ceremony, students were called individually to shake PreSchool Director Brad Dale’s hand and receive their “Oscar” for outstanding achievment during the school year. Our academically focused Pre-School offers excellence in education for young minds and fun learning opportunities that spark a child’s imagination. We serve students ages 3-5. 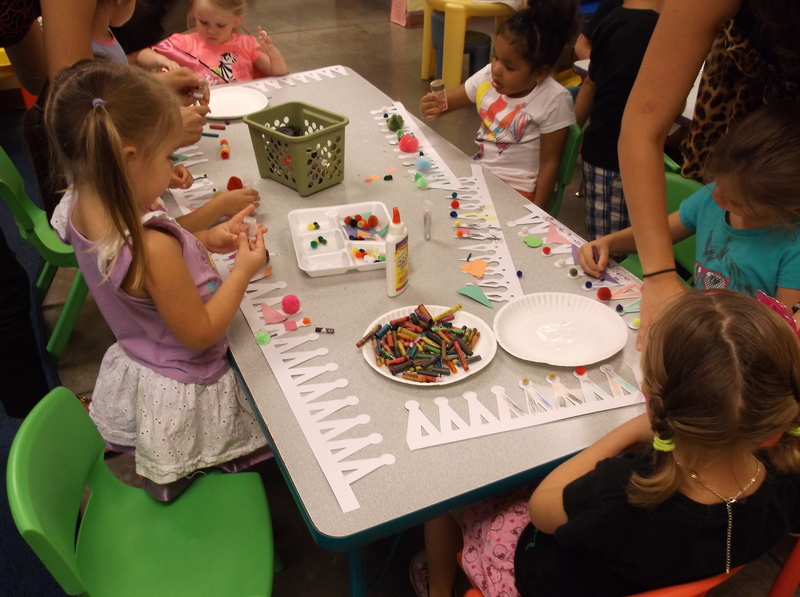 Come in today to tour our skills-focused Pre-School located on our Sierra Vista Campus. For information on how to register your child, contact us at 520-439-3526. The Center for Academic Success (CAS) Preschool is pleased to announce scholarship opportunities for eligible families with students age 3-5 desiring enrollment in the 2013-14 school year. Scholarships are designed to help lower income families — especially those with older students currently attending CAS elementary or middle school — afford the high-quality, standards-based education CAS Preschool offers. This exciting opportunity affords eligible families coverage of approximately 75% of Preschool tuition expenses. Located off 7th street in Sierra Vista, and co-located with CAS elementary, middle, and high school, CAS Preschool provides both whole and half day options for students ages 3-5. The program has an academic reading and phonics focus designed to help your child excel early. We’re open early (6:30 am – 5:30 pm) for your convenience and offer a safe, loving environment for your child. Scholarships are available on a first-come, first-serve basis and require proof of household income to determine eligibility. Please visit our school website at https://casschools.com/pre-school/ to read more about our Preschool and programs we offer. Parents desiring more information about scholarships and to discuss enrollment are encouraged to contact CAS today at: 520-458-4200. What do learning to hula, finger paint, and honoring the flag have in common? They are all part of the citizenship learning taking place at CAS Pre-School where students learn values and character traits right along side reading, writing, and math. 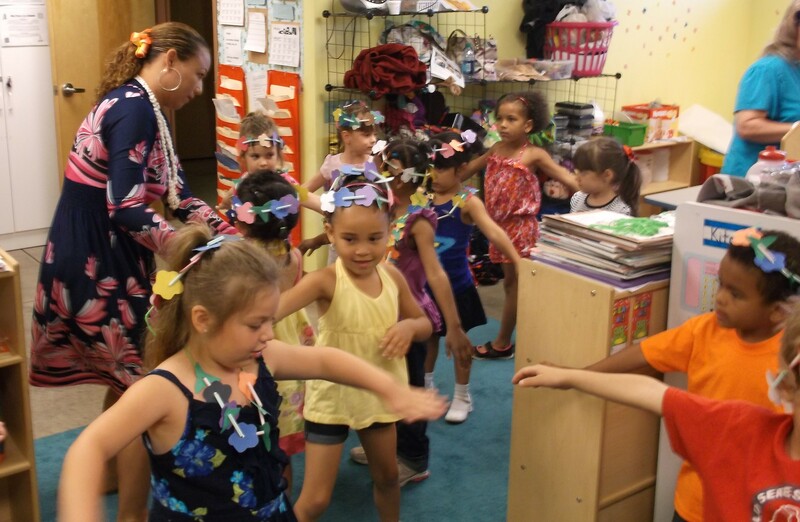 Students wear leis, practice their hula dance skills. 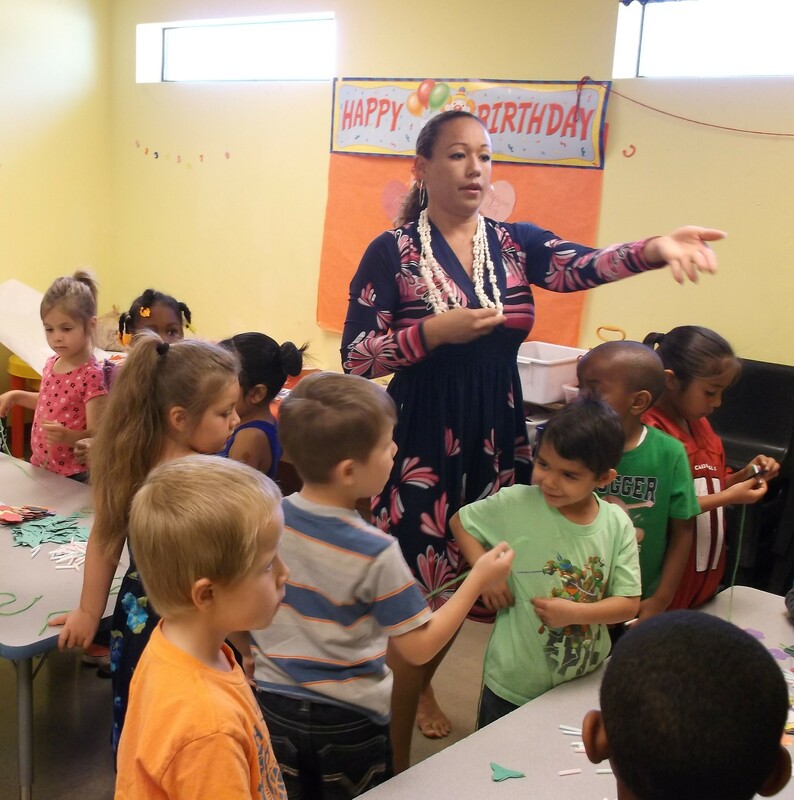 As part of honoring the many cultures that make up the United States, CAS Pre-School invited a Native Hawaiian parent to demonstrate Hawaiian cultures including food, dance, and vegetation. After learning about the state of Hawaii and its rich traditions, CAS students created paper leis (wreaths of flowers and leaves traditionally worn around the neck or presented as gifts to honored guests) and followed instruction for the movements in a traditional Hawaiian hula dance. Later in the day, students donned their leis and performed a hula while led by the teacher volunteer (see photo, above). Our sincere thanks to this parent and many others who volunteer at the Pre-School enriching our students’ experiences. In recognition of upcoming Memorial Day, CAS Pre-School students also studied the United States flag. After reviewing the symbolism of the 13 stripes and 50 stars, students got their hands dirty crafting their own unique representation of our flag. While creating their flag, students were led by teachers in a discussion of freedom, solders and military family sacrifices, and the honor of American citizenship. The finished flags (click on photos above to view gallery) were then presented to our local VFW, Fort Huachuca, and our currently-serving Pre-School parents as a token of our appreciation for all the military does for our nation. Everyone from the director right down to the smallest member of our Pre-School commemorated Earth Day 2013 with healthy earth activities including conservation discussions, water/soil demonstrations and hands-on planting. Students analyzed how their actions can help maintain a healthy earth and native environment through group discussions and earth-centered games. The fun continued with a special planting of individual flowers in the school garden by each child. Gardens will be watered and tended together teaching kids mutual respect, cooperation, and of course the joy of watching nature flourish! This exciting, dynamic learning opportunity is just one of the many examples of how our Pre-School offers excellence in education for young minds. 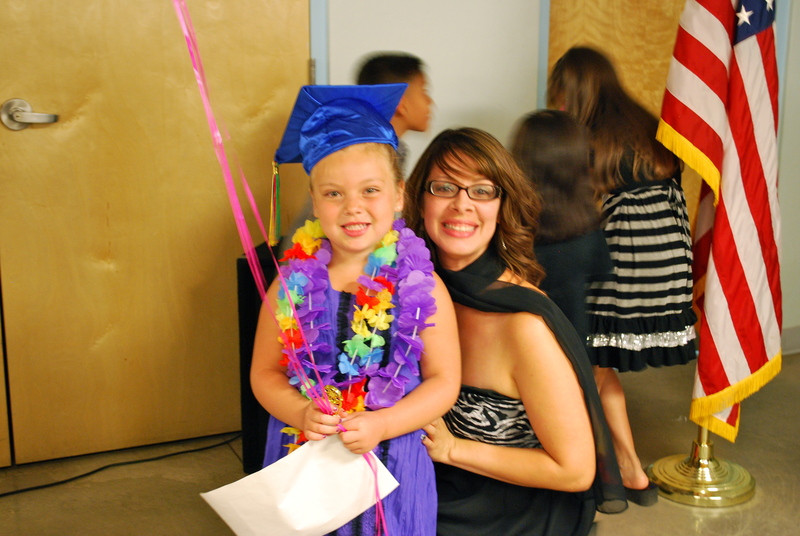 Come in today to tour our academic and skills-focused Pre-School located on our Sierra Vista Campus. For information on how to register your child, contact us at 520-439-3526. Center for Academic Success’ Pre-School team has focused on bringing spring wonder into the classroom with fun and learning centered around springtime. In social studies class, students have learned about Easter and the traditions that accompany the day. They even participated in a teacher-led Easter egg hunt on campus (see picture, left & right). Science classes have centered around spring plants and flowers identifying the characteristics that make spring unique. Math classes are counting flowers (students are practicing up to 20) and Geometry classes are revisiting the oval shape and where we see it in nature. In emotional skills class, students are examining the qualities of a good friend and resolving conflicts. Zoo phonics focus continues in Reading classes with students now reviewing letter sounds and learning “-at” endings. Our academically-focused Pre-School is ready to bloom with your young student as well. For information on how to register your child, contact us at 520-439-3526.
celebrated the season with songs, recitations, and dances choreographed by Pre-school teachers. Students in the 3-year-old class performed a Christmas tree dance (see photo) while older students acted in a Christmas play where they showcased what they had learned this year. Sets (see photo) of a cozy home were made by Pre-school teachers from materials purchases by the school and donated. Afterward, parents and staff enjoyed cookies together with the students. Many thanks to the Pre-school teachers, staff, director, and our parents for their support in helping our students prepare for the show. Students had a great time creating Christmas memories with CAS. Merry Christmas and Happy New Year to your family from the CAS Pre-school staff and students! and staff organize the fun event. CAS Pre-Schoolers also learned Halloween safety tips such as staying with a parent or trust adult, only visiting homes of family friends/relatives, and wearing a reflective item on costumes if out after dark. Pictured: Pre-School Director, Brad Dale, and his daughter (a CAS Pre-School student) are dressed as a princess and knight as part of the festivities. Our On-Site (Sierra Vista Campus) Pre-School serv es ages 3-5 focusing on age-appropriate academic and developmental growth. Our program has an academic reading and phonics focus designed to help your child excel early. We’re open early (6:30 am) for your convienence and offer a safe, loving environment for your child. Come visit us today to see if CAS Pre-School could be right for your child. In the military or boarder patrol and considering CAS Pre-School? Come see us today and enjoy our military/boarder patrol discount. It’s just one more way we support our troops, officers and their families.